Suitable for all Christians - especially those who are struggling with questions about Satan. 1. Origins: Where did Satan come from? 2. Activity: What is Satan like and what does he do? 3. Control: What is demon possession? 4. End: How did Jesus defeat Satan? 5. Walk: How should we live in a world where Satan still prowls? 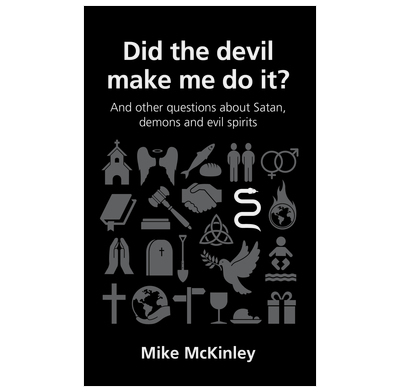 4.3" x 7" x 0.4"
In his great little book, Mike McKinley tell us that the Devil is real, ugly, dangerous and defeated. I've got lots of extra copies to use with others!